St. Louis, MO, USA, 1944. Loveland Academy, Loveland, CO ~ Tuck Langland, Eugene Daub. Fontbonne University, St. Louis, MO ~ Rudi Torrini, Hank Knickmeyer, Jaye Gregory . John Burrough's School, St. Louis, MO ~ Robert Lee Walker. Meramec College, St. Louis, MO ~ Jaye Gregory. Laumeier Sculpture Park, St. Louis, MO ~ Toni Wirts. Portraiture, Oil, St. Louis, MO ~ Tito Gay. Painting, Oil, San Miguel de Allende, GTO, MX ~ Donna Dickson. Washington University School of Fine Arts, St. Louis, MO ~ Barry Schactman, Richard Duhme, Tonasco Milovich, Charles Quest. I am very lucky and grateful to have had wonderful art teachers beginning in public school, Normandy School District, St. Louis County, MO. 2. Normandy Junior High School - Ray Marts had us sculpt a head from a concoction we created in milk cartons. I still have it! 3. Normandy High School - William Neumann had us draw portraits of students from photos - and - from life! A wrestling student, in swim trunks, modeled for us! I’m saddened that Normandy Schools lost accreditation in 2012. Normandy was once a great school district. National Sculpture Society, Fellow. 2014. American Artists Professional League, Invited Member 2014. Salmagundi Club New York, SCNY. Non-Resident Artist. 2012. National Sculpture Society, NSS, NY. Professional Sculptor Member. 2006. Artists for Conservation, AFC, Clayton, ON, Canada. Signature Member, 2005. Catharine Lorillard Wolfe Art Club, CLWAC, NY. Elected Member, 2000. Society of Animal Artists, SAA, NY. Signature Member, 1999. Allied Artists of America, AAA, NY. Invited Member, 2001. Audubon Artists, Inc., AA, NY. Invited Member, 2006. Miniature Painters, Sculptors and Gravers Society of Washington, D.C., MPSGS, Invited Associate Member, 2005. Association of Miniature Artists, AMA, Invited Member 2008. Miniature Art Society of Florida, MASF. American Medallic Sculpture Association, AMSA. Fédération Internationale de la Médaille d'Art, FIDEM, 2009. American Women Artists, AWA, Master Signature Member, 2000-2013. Treasurer, 2006-2012. St. Louis Artists' Guild, MO. Art Section Member 1994-2005. The Pen & Brush, New York, 2000–2002. Brookgreen Gardens, Murrels Inlet, SC. The American Kennel Club Museum of the Dog, St. Louis, MO. The Library of Hattiesburg, Petal & Forrest County, Hattiesburg, MS.
Ella Carothers Dunnegan Gallery of Art, Bolivar, MO. Open Monday, Wednesday & Friday from 1-4pm. National Cosmetology Assn. Hall of Fame Museum, Chicago, IL, now the Professional Beauty Assn., Scottsdale, AZ. ~ Fifteen bas-relief portraits of inductees. The Wild Corporation, Englewood Cliffs, NJ. Matrix Essentials Inc., Cleveland, OH. Creative Nail Design, Vista, CA. Born December 17, 1944, and raised in St. Louis, MO, Joy attended Washington University School of Fine Arts in St. Louis. 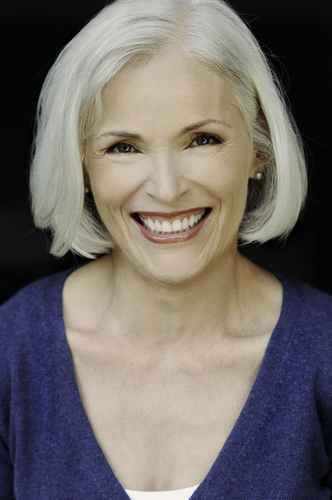 She pursued professions in fashion at Famous-Barr and later ran her fund-raising business, Joy of Youth. In the late 1980's opportunity and spirit were right for Joy to return to art. A 1990 sculpture class reawakened her love for modeling clay into the human form. With encouragement from her husband, Brian, Joy began the process of becoming a fine artist through formal education, job experience and interpersonal relationships. Joy is a modeler. She models clay or wax into the desired form rather than carving, for example, a block of marble. When the clay is finished, she has a mold made and the piece is cast into bronze using the lost-wax method. Please read her brief overview, "Clay to Bronze," for a better understanding of the process. Joy created Fifteen bas-relief portraits in bronze for the National Cosmetology Association Hall of Fame from 1993 through 1998. From fall 1995 through 1998 she evolved into a full-time sculptor. The Society of Animal Artists elected her to membership in spring 1999 and she accepted invitations to become a full member of AWA, the American Women Artists, Allied Artists of America and the Catharine Lorillard Wolfe Art Club. In 2014, National Sculpture Society elected Joy to Fellow! 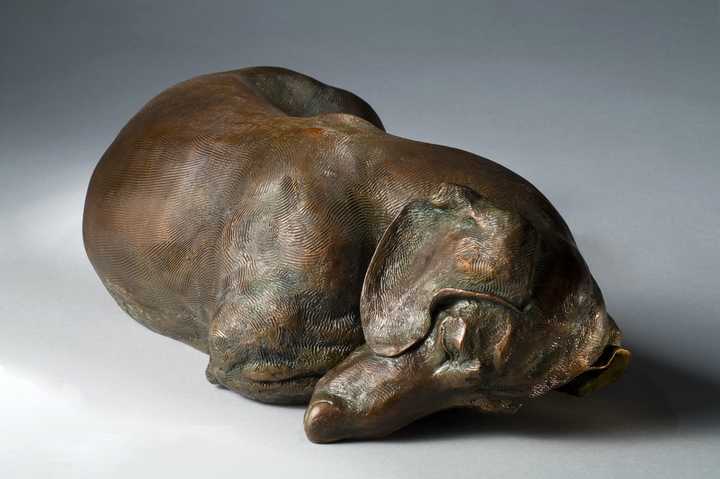 Joy's series of life-sized dachshunds, inspired by her own "kids," have earned her national recognition and over 80 awards including the National Sculpture Society Silver Medal, the Ellin P. Speyer Prize from the National Academy, four awards from the Society of Animal Artists, and six Best-in-Shows and six best Sculpture-in-Shows! Her goal is to create at least one piece per year. A Certificate of Authenticity is provided with each piece in editions of 20 or fewer. Most individual 1:6 scale bronzes became editions of 99 & 9 Artist¹s Proofs in November 1999. Joy taught her first canine sculpture class, sculpted her first canine commission and her first Golden Retriever in 2001. Joy's work is in collections around the world, including the permanent collections of the American Kennel Club Museum of the Dog, in St. Louis, MO; The Library of Hattiesburg, Petal & Forrest County, Hattiesburg, MS; and three pieces grace the Ella Carothers Dunnegan Gallery of Art, in Bolivar, MO. Her collectors range from those who love Chihuahuas to Great Danes. She is grateful for the friendship of her dachshund anatomy mentor, the late Judge Weldon Long, without whose coaching she could not have created her winning works with accuracy so close to the AKC standard.